The CSH (Concrete Sustainability Hub) was established in late 2009 to better understand the sustainable attributes of concrete and the areas where they can be improved, and develop scientific breakthroughs at the atomistic level to make cement and concrete even more sustainable into the future. 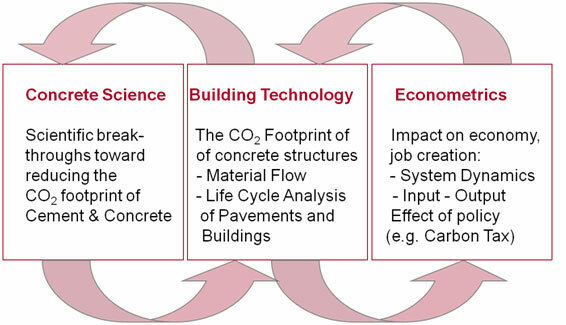 Mission: Life Cycle Assessment (LCA) of Concrete Buildings and Pavements to Identify Impacts and Opportunities. The Massachusetts Institute of Technology’s (MIT) ongoing research through the MIT Concrete Sustainability Hub has set a new standard in life-cycle assessment (LCA) modeling. The three reports published in August, 2011, discuss initial findings on the life-cycle environmental and economic costs of pavement, commercial buildings and residential building. The results provide a rigorous means of testing the relative environmental impact of paving and building materials and design alternatives. Click here to download the NRMCA Sample Letter to the Editor. Click here to download the NRMCA strategic plan for leveraging the MIT LCA research results. Click here to download a presentation describing strategies and ideas for promoting the MIT LCA research results. Click here to download a recording of a webinar originally delivered on September 8, 2011, by NRMCA staff describing strategies for leveraging the MIT LCA year 2 research results. Visit www.nrmca.org/sustainability for information on other concrete industry sustainability initiatives. Visit www.nrmcavoice.com for information on advocacy and government affairs related to MIT LCA results. 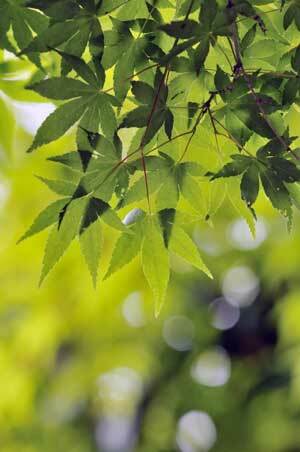 For more information on other projects funded by the RMC Research & Education Foundation.